We offer London's largest schedule of genuine dates (460 as of 5:10am Mon). Part of optional ILM Endorsed Award Package. This course is designed for newly appointed managers and those who would like to get a better understanding of the management role. At the end of this two day course delegates will have a range of practical tools and strategies to help them succeed as managers. Techniques covered include planning, delegation and assertiveness as well as how to manage stress and conflicting priorities. Part of our Management Training Courses London portfolio. 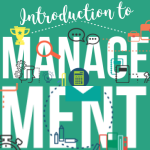 Below are some extracts from our Introduction to Management manual. Leaders do more than issue orders, they must provide answers to difficult questions and create the culture of their teams. Effective managers are good leaders. Strategic leadership is the ability to see the big picture and forecast the future of the team or organisation. This type of leader creates plans that consider the growth and direction of the business as well as the people within the organisation. Strategic leaders effectively prepare themselves and their teams for the future that they see. Many people dislike delegating because of what they see as the potential disadvantages. However, delegation is an important tool for a successful manager and comes with many benefits. Explain why you are delegating. Give the necessary authority to carry out the tasks. Let others know of the delegation. Expect others to do the job as well as you can. Check constantly to see how things are going. Take credit for results achieved by staff. There are many types of feedback that managers can deliver and delivering the appropriate type of feedback increases the chance that the receiver will hear, understand, accept, and act on that feedback. Helpful: Deliver the feedback in a manner that shows that you want to help the individual with this problem. Key attitudes include respectfulness, honesty, open-mindedness, and empathy. When giving feedback, be sensitive to the message that you are sending and to the other people present. Criticising a team member in front of the entire team will not be well received. Perhaps surprisingly, being praised in front of a group can make some people feel uncomfortable too. This is often used in informal feedback situations but can also be used as part of formal feedback. Remember the characteristics of good feedback even when delivering these short items. Note that direct criticism should be used very rarely – typically only when safety is the issue. This is where you simply sandwich the negative between two positives. This approach has been criticised because it trains the employee to always expect a negative when they hear a positive, and it takes the focus away from the actual problem. However, it is especially useful for new or sensitive employees or in situations where the job is well done overall. The Open Sandwich is a modified version of the Feedback Sandwich described above. You give the person some praise, give the feedback, and then give constructive help on modifying the behaviour. This places more focus on the problem at hand, but still gives the employee something positive to focus on. A team is a group of people formed to achieve a goal. 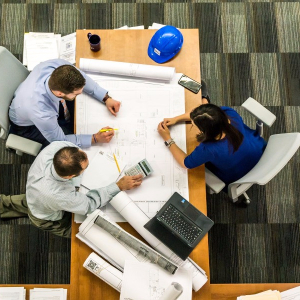 With individuals sharing responsibility, the group can take advantage of all the collective talent, knowledge, and experience of each individual team member. Teams require mutually agreed-upon operating principles such as agendas, procedures and decision-making processes. A team is interdependent; everyone works for the good of the team, not for oneself. How they do things (the process) is just as important, if not more important, than what they do (the task). Defined by Bruce Wayne Tuckman, PhD in 1965. Forming: Groups initially concern themselves with orientation, getting to know one another and their roles and responsibilities. Team members will test the boundaries but will depend on the leader for direction and guidance. Storming: The second phase is characterised by conflict and polarisation around interpersonal issues, sometimes with emotional responses. These behaviours serve as resistance to group influence and task requirements. The leader must remain calm and focus on conflict-resolution during this phase. Norming: In-group feeling and cohesiveness develops, new standards evolve, and new roles are adopted. The team works towards a common goal, and the leader provides support to the group. Performing: Finally, the group attains the fourth stage where they can work independently and achieve their goals. Roles become flexible and functional, and group energy is channelled into the task. The leader delegates tasks easily and there is a high level of autonomy. Demonstrate interest by listening for issues that are not readily disclosed to you. Perhaps you overhear a conversation where your team member is struggling with something. Show your commitment to that person by encouraging them to discuss it with you. Demonstrate listening by giving your undivided attention and avoid interruptions like answering the telephone or looking at emails. Demonstrate respect by always keeping the relationship professional. Avoid putting your team member down, even in a joking manner. Rapport is how you relate and connect to others. You can tell when you have good rapport because it will feel like you’re ‘on the same wavelength’. Achieving rapport with your colleagues is important as it leads to more effective communication. Tone can be high, low, loud or soft. Tempo can be fast, slow, and with or without pauses. Voice tone or tempo matching is useful for the telephone. Each time the other person displays a movement, you match it with a different movement of your own. For example, if the other person scratches his or her nose, you tap your pen or drum your finger. Also known as crossover mirroring, matching movement rhythms takes a little practice, but can help you achieve rapport. This is the easiest of the techniques; however, you must use it in a subtle way, so it is not embarrassing. Practice mirroring in a non-critical situation. Simple examples of matching body postures include crossing your legs or leaning on one elbow.